Find a luxury hotel in Venice from the Hotique Hip Hotels Guide. Hotique is an independent guide, featuring luxury 5 star design hotels, hip hotels and unique boutique hotels including hip hotels in Venice. View our featured hotels in Venice below or search for a boutique hotel in Venice. When choosing your Venice hote, top of the list has to be an intimate small luxurious hotel - choose one of our boutique hotels for the perfect romantic getaway. Ca’ Pisani is located in the heart of Venice, a few steps from the Accademia bridge and Art Galleries, and less than five minutes walk from the famous Peggy Guggenheim collection. 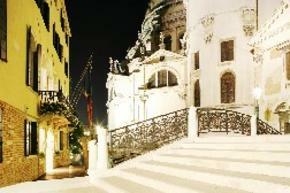 Venice Boutique Hotels from Hotique.